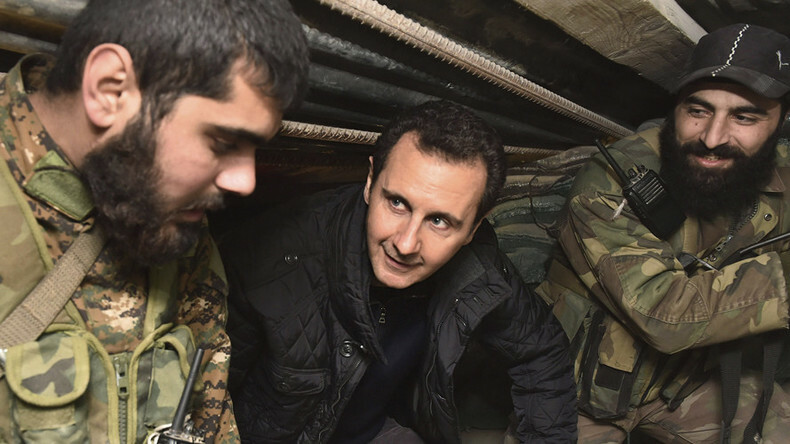 An Israeli minister has bluntly called for Syrian leader Bashar Assad to be assassinated after unsourced media reports claimed Damascus was using a “crematorium” to cover-up mass killings. He said the “serpent’s head” in Tehran should be dealt with next. “The reality whereby Syria executes people, intentionally uses chemical weapons to hurt them and, now, in the most recent move of extremism, is burning their bodies – this has not been seen in the world in 70 years,” said Israeli Housing Minister Yoav Galant, as cited by Haaretz. “We are crossing a red line and, in my view, the time has come to assassinate Assad,” he continued. What appears to be the first recorded Israeli threat to assassinate Syrian President Bashar Assad came after the US Department of State alleged, without presenting any hard evidence, that the Syrian government is using “a crematorium” outside Damascus to burn the bodies of people killed by the government. Earlier on Tuesday, Galant told Israeli Army Radio that Assad’s rule has been the worst since Nazi Germany. “What is happening in Syria is defined as genocide, under all its classifications,” he said on Army Radio, according to Jerusalem Post. Some previous attempts to compare Assad’s government to the Nazi regime have been met with public outcry. White House spokesman Sean Spicer, who claimed that Hitler’s death squads hadn’t used chemical agents during the Holocaust “in the way that Assad used them” sparked outrage in the US and beyond. Certain journalists have used the Assad-Hitler comparison when covering claims that Syrian forces have used chemical weapons, but those remarks were dismissed by the public. Assad, a UK-educated doctor, has been in power since the 1999 passing of his father, Syria’s long-time president, Hafez Assad. Syria is one of the few Arab countries where the president is elected through a nationwide vote.